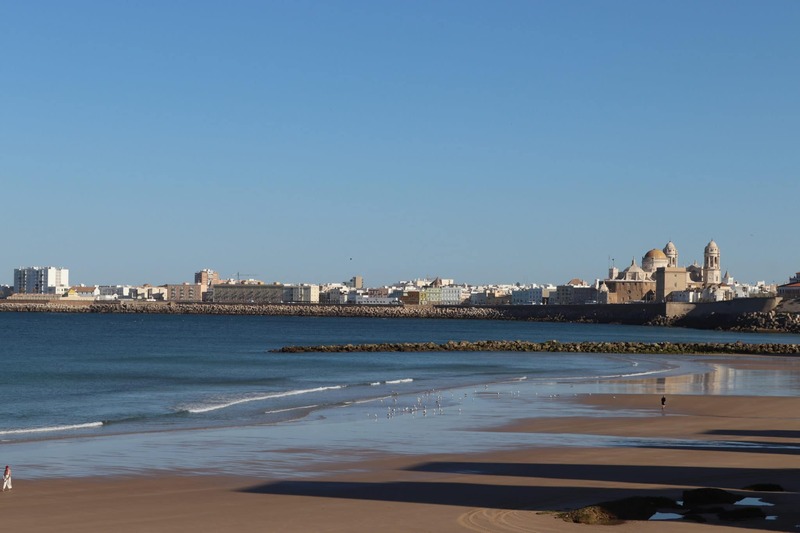 Cadiz – what’s all the hype about? The secret is out! Cadiz has been recognized by “The New York Times” as a top place to visit in 2019. For those who have already experienced the beauty of this enchanting city in Southern Spain, it’s no surprise! 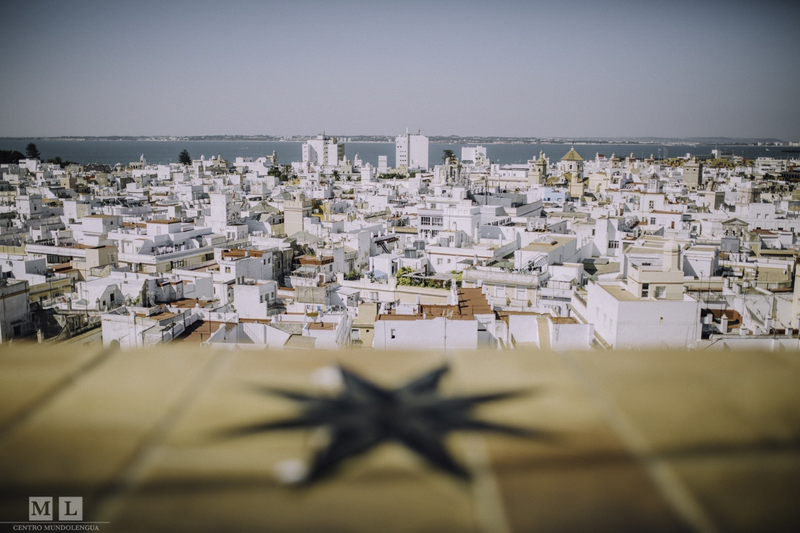 However, if you do not know much about Cadiz, Spain’s hidden gem, then you’ll want to read on… In this blog you’ll find out what the main things to do in Cadiz are and why the city is becoming so popular! The vibe in the streets is “more similar to Havana, Cuba than Madrid”. The article also talks about the amazing gastronomy, the authentic wineries with their stunning collections of art, the picturesque white villages and of course the never-ending sand beaches! 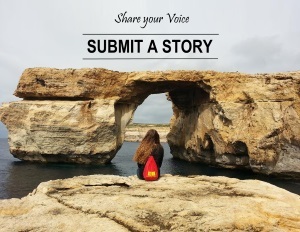 Andrew Ferren – the journalist who wrote about Cadiz for the New York Times – says “You leap from places as sophisticated and cultured as Jerez de la Frontera to wild landscapes that take your breath away, such as the beach in Bolonia or Alcornocales Park. 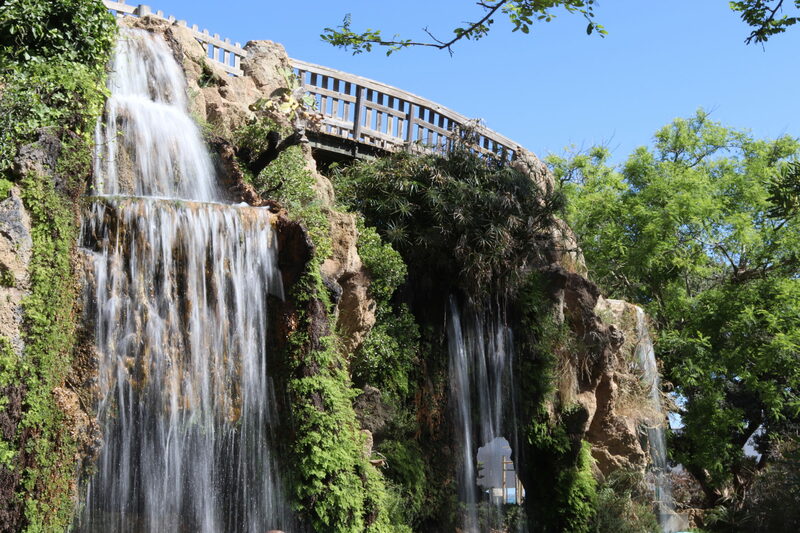 It’s like the Wild West of southern of Spain.” Andrew makes it out to sound like there are lots of things to do in Cadiz, and that it is an adventure to visit, which is exactly the case! So as you may know, Cadiz is renowned for its beaches. Did you know it has featured in many blockbuster movies? Fun fact, one of the James Bond films recorded at Caleta Beach pretending that the scene was in Cuba! Cadiz is one of the provinces in Spain that has the most sunshine per year. It also has kilometers of beaches where you can take in the sun or do some water sports! Our students love taking surfing classes! Cadiz is also a popular destination for local families from Seville and other parts of Andalusia so they can too enjoy these luscious sandy beaches. Although the beaches are one of the main highlights, there are plenty of other things to do in Cadiz! A short drive south are three natural parks; la Breña, los Alcornocales and el Estrecho, where you can explore the greenery and get lost in the nature. You can also stop by the beaches in between these parks and you’ve got yourself a scenic afternoon! These are some relaxing things to do in Cadiz. Just picture this; picnics in the park, sun bathing by the beach, the smooth sound of the ocean and a beautiful sunset to end the adventure. Another great place to wander about is el barrio del Pópulo. This has lots of historical monuments where you can observe and learn about the intriguing past of Cadiz. For example, you have the roman theatre, which was discovered by chance only a few years ago in 1980! 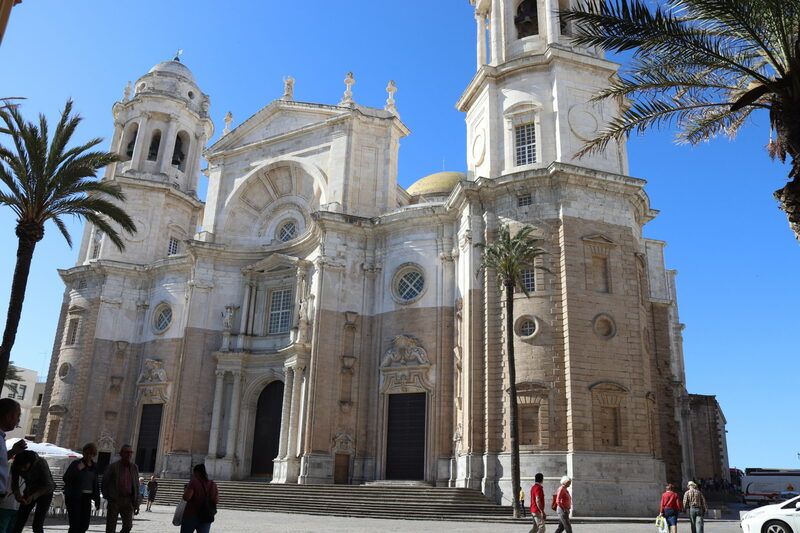 The Cadiz Cathedral with its baroque architecture, the stone arches and more! With each turn in this neighborhood you’ll be finding a new structure to gaze at. One of the main things to do in Cadiz – which the New York Times journalist didn’t mention – is to visit the Carnival of Cadiz; this is the most cultural period in the city! The streets in Cadiz are in full celebration for weeks! Although the carnival has specific dates – the first weekend of March – the people of Cadiz start celebrating 2 months before on the weekends and for a month after on each weekend too! It is the perfect time to visit Cadiz as you get to enjoy the sense of fun, positivity and inventiveness of the locals. Everyone dresses up in flamboyant costumes and they party throughout the streets. They also dress up and sing as different groups; coros, comparsa, chirigota and cuarteto. Anyone is welcome to dress and perform as these groups; they each have a distinct theme. Some dress formally and have emotional lyrics, others dress humorously with the aim to amuse. They often sing with political and social means. 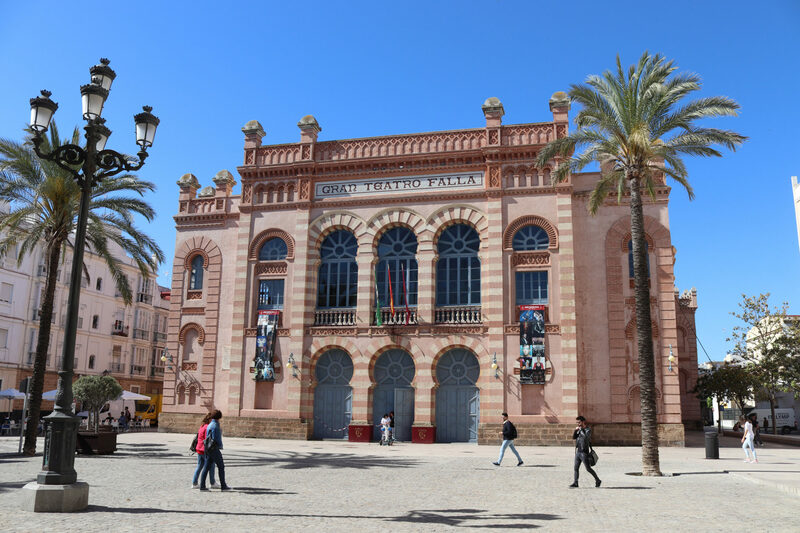 The best groups perform at a concert in el Teatro Falla and it is magnificent. The carnival marks the character of Cadiz, as it is friendly, fun and lively just like the people! It is the main party of Cadiz and people look forward to this period all year round. There are lots of things to do in Cadiz during this time. For example, everyone goes to the streets to party, eat, sing and celebrate together. Then after this indulgence of happiness it is the period of tranquility, which is lent. One of the main things to do in Cadiz is eat! 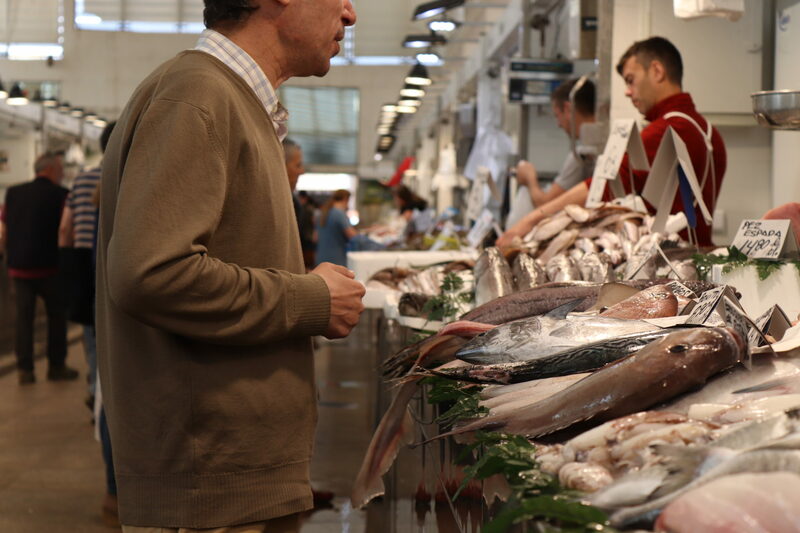 As Cadiz is a city by the beach, you’ll find seafood and fish everwhere! It’s a large part of their cuisine and it’s delish! Typical fish dishes which you’ll have to try are ‘pescaíto frito’ (translated to fried fishies), ‘tortillitas de camarones’ (shrimp fritters) and ‘atún rojo’ (bluefin tuna). Pescaíto frito can be any type of fried fish, you can simply pick and choose your favourite type and have it freshly made the Cadiz way! Tortillitas de camarones are just amazing, you get a flavourful taste with each bite. Atún rojo is only fished at certain times of the year. The fishermen use a traditional 3,000 year old fishing technique! The New York Times article also mentioned the new gastronomy scene. For example, Saja River, a gastrobar with a western theme to it, it opened less than a year ago! They also recommended the Aponiente. This restaurant has 3 Michelin stars, and according to the NYT journalist it has a “lyrical poem of seafood”. Chicharrones are also a personal favourite, they’re not the healthiest but they’re a must-try holiday treat! Chicharrones are basically fried pork belly, they’re so indulging! Lastly, if you’re more of a cook-at-home person then you could get the freshest ingredients from Cadiz’s main market ‘Mercado Central’. Here you’ll find everything you need to try and recreate you’re new favourite Andalusian dish! Cadiz has been around for a while.. In fact some historians believe that Cadiz is Western Europe’s oldest inhabited city! Dating back around 3,000 years! 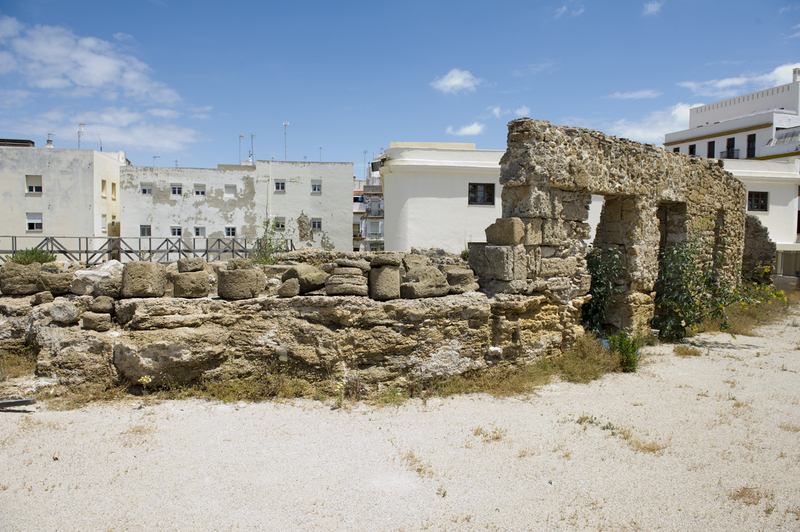 It’s crazy to think that humans were living in this city all those years ago… Cadiz has been a popular location for trade and exploration for many years. Even the famous Christopher Columbus set sail here multiple times to venture into the seas and arrive at America! Cadiz had a golden age in the 18th century; this was due to the fact that business was booming in the trading sector. The port of Cadiz had a very large influence on the Spanish economy as it was Spain’s prime entry port for sailing to the “New World”. Cadiz became part of a monopolized international trade route that linked Europe, America and Africa. The riches made during this period are reflected in the landscape of Cadiz – many of the city’s finest buildings were erected during this ‘golden age’. If the sound of exploring the majestic scenery of Cadiz appeals to you, then we have study abroad opportunities you could do! 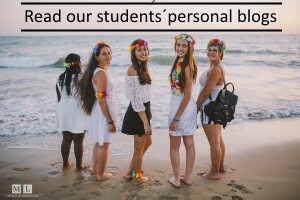 Here we will improve your Spanish with indoor and outdoor classes, take you around the secret spots, teach you about the culture and do a variety of activities! 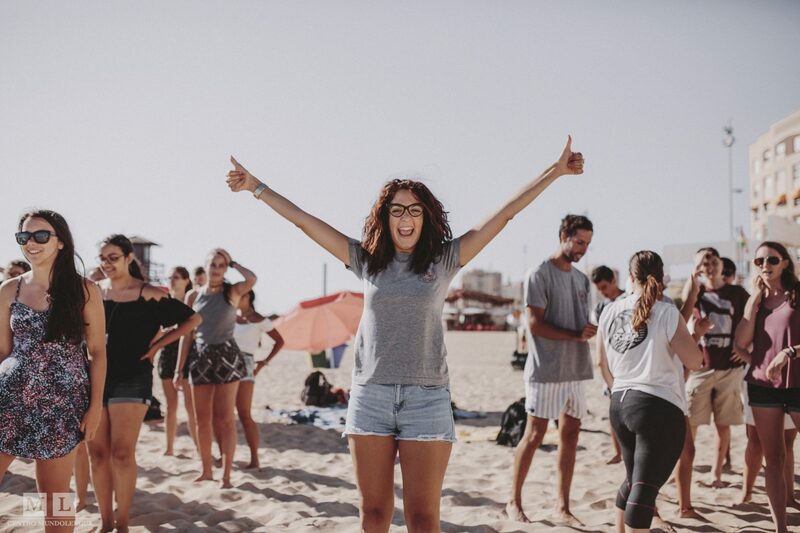 Whether you’re a High School Student, College Student, Spanish Teacher or you just love the idea of exploring Cadiz and learning some Spanish then we’ll have a course right for you! Just click one of the links above to find out more!